I'm trying to use Domcide's config but I am getting an odd output. Where it is supposed to be green I get pink.... Same thing happen with the background color which I already changed. Any thoughts on this?? I.E. What am I doing wrong? ^Maybe there's an extra whitespace after the hexcode, like "#4A663C " instead of "#4A663C". Sometimes this happens when copying. You sir, are brilliant. Thank you very much. Kde-terminal theme, no hex, sorry. 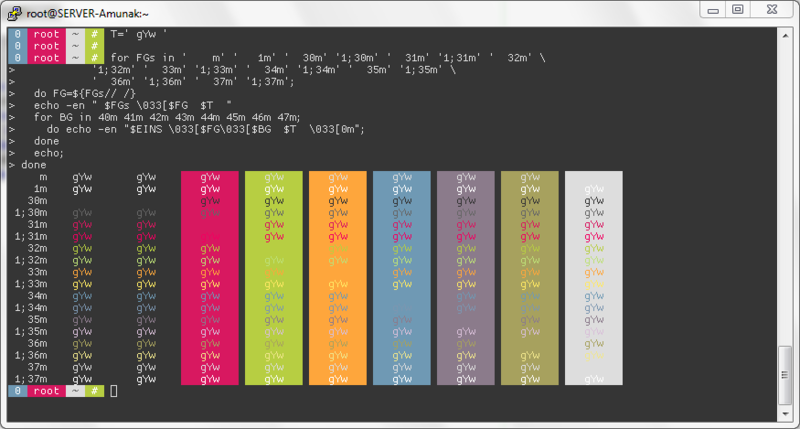 The colorscheme I use for vim is rcg_term. 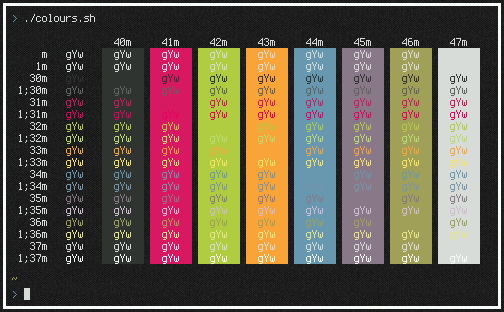 I stole my greens and reds (which are closer to a pinks) from this thread and the others from previous desktop threads. I wish to know what you put in your bashrc to get that line that returns with the command. In bash you can achieve the same, but I don't have an example right now. Check here and here. Yo Dawg, I heard you likes patches, so I have created a patch for your patch, so you can patch your patches before you patch. The focus here is readability. Easy on the eyes without loosing too much contrast. I'm pretty happy with these---expect the yellow, which is meh. 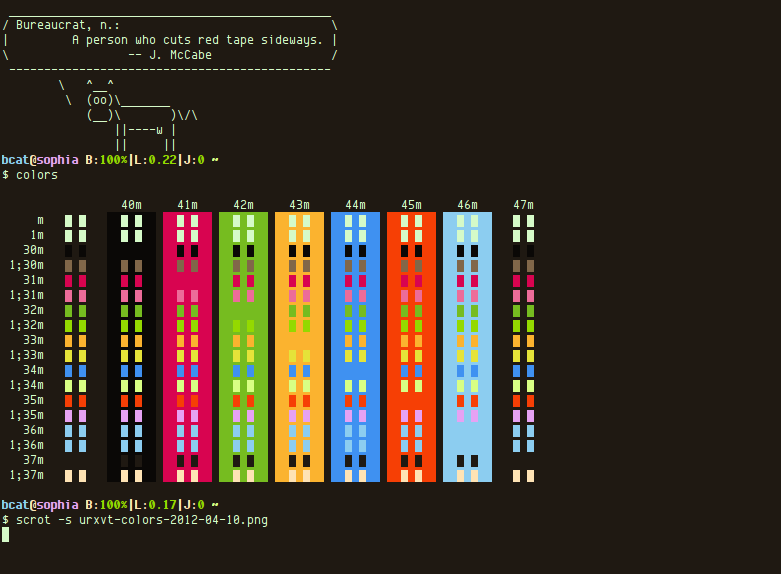 They're based off a Vim theme (abbott.vim) that I've been tweaking for a little while. I don't think they're a direct rip-off of anyone else's theme, but I've spent a fair amount of time avoiding homework by looking at neat screenshots on the forum, so my apologies if I accidentally stole someone's colors. 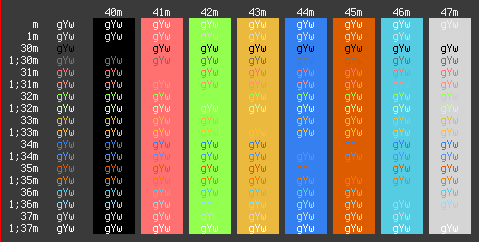 Edit: Made really minor change to cyan.